Watch our cubicle coverings and slatted floor coverings for bull fattening in practical use at various farms in many countries of the world. In this video you can watch our cattle house floorings made of rubber for fattening bulls in the field – tailor-made on slatted floors and on lying areas. 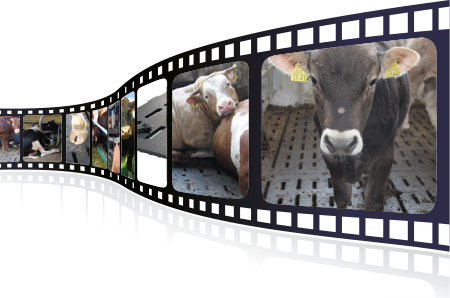 In this video you can watch our tailor-made slatted floor coverings made of rubber for fattening calves in the field.